The smart buyer, looking to make a solid investment, will only work with a Real Estate agent who has a proven track record and a good reputation. I am an expat who has been living here in Cuenca for almost six years. I had been searching for the perfect condo for quite some time. I contacted Verónica Arpi and gave her a list of ideas, preferences, etc. She got back to me in less than 24 hours with the perfect condo for me. In less than 48 hours, I had the key to my new home. She is patient, professional, punctual, extremely competent, and she listened to me. I highly recommend her to anyone who is interested in investing in real estate here in Cuenca. You are safe in her hands. Choosing Veronica as our realtor turned out to be the best decision we made when we decided to buy a home in Cuenca. She acted above and beyond the call of duty. Veronica was prompt with finding properties, scheduling and attending appointments. She listened to what we were looking for and didn’t waste time with anything outside of that scope. She took care of every detail where paperwork was concerned, and otherwise. Nothing slipped through the cracks. Even after the purchase was complete, she assisted in getting gas & electric, water, internet and phone all transferred to our name. One month later, we needed assistance on these and other issues and she was there to help, promptly. We can’t say enough about her service. We will certainly be using her in the future if/when the time comes to sell our property or move. Veronica has been in the real estate field for many years. She is fluent in English & Spanish. She has great expertise, especially in the transaction process. She is professionally knowledgeable and a problem solver. Her website (www.cuencasbestproperties.com) has excellent information on "The Purchase Process". We had tried to sell our house for over a year using various brokers. Veronica was able to sell it within a month. There were some problems during the closing process, but she got them cleared up. We would not hesitate to use her again. Having known Veronica for over 2 years and worked with her extensively in both buying and selling scenarios, we can state unequivocally that she is the most helpful person in her field in Cuenca that we have met. Aside from having total fluency in English, she is professionally knowledgeable, punctual, personable, hard-working, calm, well connected and above all solution-oriented. Todos anhelamos en algún momento poder comprar nuestra propia vivienda. Cuando llegó mi hora de hacerlo, me encontraba abrumada por tantos aspectos que debía tomar en cuenta: el lugar, los acabados, el precio, los trámites, etc. Después de buscar durante un par de meses en la ciudad de Cuenca, logré contactarme con algunos agentes inmobiliarios, pero ninguno pudo ofrecerme lo que yo buscaba: el lugar adecuado a un precio justo y en una zona tranquila. Un día decidí buscar en internet y me encontré una página denominada «https://cuencasbestproperties.com/», que en español significa «las mejores propiedades de Cuenca». Entré a la página y pude descubrir que en verdad vendían lo mejor de lo mejor. Me contacté con Verónica Arpi, quien me indicó un departamento precioso, con una vista fenomenal al río Yanuncay. Cuando decidí comprarlo, Verónica se encargó de guiarme, paso a paso, para efectuar la compra de la propiedad. Obtuve justo lo que estaba buscando y no tuve que preocuparme de trámites, ya que Verónica —con su amplia experiencia— hizo que todo el proceso sea fácil y rápido. Definitivamente siempre acudiré a ella cuando necesite de una experta en el área de bienes raíces. We all want at some point to be able to buy our own home. When my time came to do it, I was overwhelmed by so many aspects that I had to take into account: the place, the finishes, the price, the procedures, etc. After searching for a couple of months in the city of Cuenca, I managed to contact some real estate agents, but none could offer me what I was looking for: the right place at a fair price and in a quiet area. One day I decided to search the internet and I found a page called «https://cuencasbestproperties.com/», which in Spanish means «the best properties in Cuenca». I entered the page and I discovered that they really sold the best of the best. I contacted Verónica Arpi, who told me about a beautiful apartment, with a great view of the Yanuncay River. When I decided to buy it, Veronica was in charge of guiding me, step by step, to make the purchase of the property. I got exactly what I was looking for and I did not have to worry about paperwork, because Veronica - with her extensive experience - made the whole process easy and fast. I will definitely always go to her when she needs an expert in the area of ​​real estate. Veronica displayed extraordinary zeal in attempting to negotiate settlements between potential buyers and the property owner. She showed considerable skill in assessing buyers' needs and sensitivity in addressing their concerns. Her knowledge of the market in Cuenca and its environs is extensive and her willingness to share it with all parties is exceptional. I highly recommend this skilled professional. It was a pleasure to work with you during our search. Having lived here 6 years we know how hard it is to find a trustworthy person to work with. Also having such specific requirements meant you needed to be patient and use your excellent listening skills to achieve our goal. Thanks again and would highly recommend you to anyone needing an excellent realtor. Rick Smith and Carol B.
Veronica Arpi 1:28 PM (8 hours ago) to me I cannot think of anything but good things to say about your helping us in our search for a Cuenca home. You have been so positive and helpful. I know there were times you probably wanted to strangle one or both of us, but you never showed it. You went above and beyond what we expected. It was such a good experience working with you, that I want to sell the house we have bought/almost bought and start looking for another one, just to keep working with you. LOL. If I have an opportunity to recommend your services to another person looking for a house in Cuenca, I will not hesitate to do so. Thank you a million times. We have been working with Veronica for over a year, looking at condos for rent and those for sale. Each time we flew into Cuenca, she met us for several days, showing us options. We changed our mind several times on purchase vs. rent and then on the price. Each time, she handled it with her usual charm, making sure we saw options that met our new goal. In the year we worked with Veronica, we rented a condo and then purchased one. She walked us through both processes in Ecuadorian law and made sure we were comfortable with the process. During the purchase, she made sure we had an inspection (our request), an insurance agent and a place to purchase furniture and supplies. She went above and beyond to make sure we were happy in our new home. After we closed on the condo, she helped us set up the internet in the apartment, worked to get the utilities moved in our name and had someone set up our router. When the electricity in the building went out three days after closing on the property, she called the maintenance person and an electrician to validate that the issue was not a recurring issue. 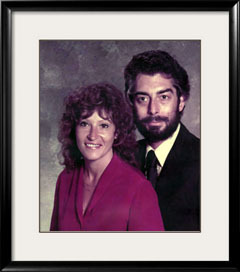 In short, Veronica Arpi was one of the best realtors we have ever used. She is knowledgeable, caring, bilingual and great at her job. Veronica Arpi from Cuenca Best Properties cuencasbestproperties.com/index.php , Veronica is your best real estate agent choice to either help you identify your new home or sell your home. Veronica handles all different real estate duties, she knows the city and country very well and understands your wants and needs. Veronica is very knowledgeable, professional, friendly, detail oriented and well respected in the community. Don’t look anywhere else, Veronica helped us twice in the sale of two of our properties, she is the one and only that will meet your needs without looking elsewhere. She knows how to do it right! Thank you Veronica Arpi. The entire experience has been wonderful. First your associates showed me some amazing apartments on the new side of town that I would have loved to move into. They were a little more than I wanted to spend plus I really like old town better. Then when I started having problems accessing my money and then got sick you were very patient with me and gave me time to get situated. You showed me a wonderful place near Park Calderon that was perfect for me. You graciously helped me move what felt like a ton of luggage into my new home. I could not be more appreciative of your courtesy and professionalism throughout the entire process. If I ever have to move again, and I’m pretty sure I won’t for a long time, I will not hesitate to seek your services again. Veronica only needed to bring one client to the house for the sale. She was very professional and kept us in the loop all the way, through the myriad of paperwork to helping the new owner transfer the utilities. She has one of the best websites about "Cuenca's Best Properties" and she will bring you qualified clients. I highly recommend her. > I would like to recommend Veronica Arpi as your next realtor. I had been wanting to purchase a home in Cuenca for some time, but what I was wanting and what I could afford seemed far apart. I saw a house on an internet website and called the number. It was Veronica. It turned out that house was not for me. Veronica sat me down and took a list of what I wanted and started showing me available homes that fit my needs. We finally ame across a property that fit all my needs and them some. The house was a great price and I wound up with a property far above my original expectations. Veronica arranged for a lawyer and even arranged top nave workmen come to inspect the home and do some repairs that needed to be done. She also found someone to rent the place I was renting so I could leave my lease early. I want to thank you for all your help and for blessing us with such a wonderful home to have our family. May the lord bless you and your family. I would like to enthusiastically recommend the realtor services of Veronica Arpi to anyone considering purchasing property in Cuenca. Veronica is a consummate professional, who knows the properties available in our community. We were extremely satisfied with the success she had in finding a buyer for our condo. I appreciated her caring and attention to details which made our buyers very happy. For courteous and professional service, give Veronica a call. Susan Moore Vault, a happy seller. "As newcomers to Ecuador and Cuenca we were blessed to have found Veronica Arpi and Cuencas Best Properties to help us in finding properties that met both our wants and needs lists. Possessing her wide knowledge of the real estate available, Veronica presented options in a couple of areas of Cuenca then recommended we see what the city had to offer. She hit the mark and we found a great apartment to rent while we began the search for a property to purchase." "Veronica continued to help us look for and find a super property to buy that once again checked off all the items on our wish list and more. In addition to thorough help with the process of buying real estate she also helped with pointing us to appliance, household and general shopping locations. As well as some transportation assistance. She understood our needs and truly made our home purchase a nearly flawless and painless event." Veronica Arpi is the best. She sold our condo within 45 days of our listing it and very close to our asking price. She's very professional, very communicative and follows through with her promises. She also struck a balance between representing us and the buyer. We also know of several other high-end condos that Veronica has sold with a very short period of time. My husband I both would highly recommend her. Veronica is an easy-going, fun person to work with. Her knowledge of the Cuenca property market and genuine interest in our needs and desires made buying our property a fantastic experience. Veronica was patient, extremely attentive, and offered sound advice during the entire process. As we currently reside in the US, a lot of business was conducted via email; Veronica did an excellent job communicating with us via email as we worked through the details of the transaction, making sure we were kept informed and aware every step of the way. We couldn’t be happier with our investment or with the service we received from Veronica. We would certainly recommend Veronica Arpi and Cuenca’s Best Property to others! My name is Varsi Padayachee. 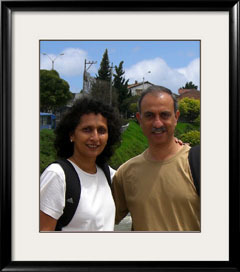 My wife Gloria and I decided to retire to Cuenca from the state of Maryland, USA. After much research, we visited Cuenca in January 2018. During our 10 day visit we met with a number of realtors, looking to meet the person with the right chemistry. We met Veronica Arpi of Cuenca’s Best Properties. We were thoroughly impressed with her punctuality, professionalism, and her ability to listen to her client’s needs. Upon or return to the USA, I continued my on line home search. I heard from a number of other realtors, who talked a great game, but little to show as accomplishment. One even had a relative wax lyrical about his success as a Realtor. Talk is cheap! We Veronica a list of our requirements, the areas we found attractive and our budget. 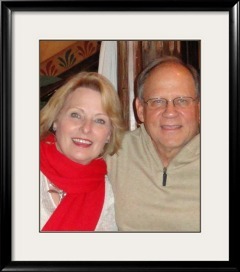 Upon my return in early March, she had set aside 2 days to focus on showing me homes she selected. The very first home she showed me ticked all the boxes, yet she insisted we view the other homes on the list. The very next day we signed the lease at the price that was on budget! Her role as realtor had ended, yet she helped me through the process of notarizing the agreement and even registered it with the Land Office, on my behalf! This Lady, Veronica Arpi, embodies Professionalism in its truest form, and anyone out here, she make, consulting with her, their first step! I'm Reg. My wife, Jeana, and I recently moved to Cuenca. I became aware of Cuenca's Best Properties and Veronica Arpi in December 2016. Jeana sent me links to properties in Ecuador. One was a home in Cuenca that she liked very much and I agreed with her. We had only recently begun researching Ecuador with a notion to consider it as a future residence. By early January 2017 we had arranged an exploratory trip to the Andean region as it interested us most. The fifteen day trip included Quito, Otavalo, Cotacachi, Cuenca, Loja, and Vilcabamba. The last four days of the trip were free from the tour in Cuenca. We spent them talking to several different local experts about residency visas, relocation services, and living in Ecuador.We also explored the city and surrounding areas. We arrived home in the US thinking Cuenca would suit us quite well and that a move was definitely possible, desirable, and doable. By spring we had decided to move forward with a move to Cuenca. We also had begun the long, arduous process of updating the home we had lived in for 22 years and preparing it for sale. I had contacted Veronica not long after returning from our trip to ask about the house Jeana liked. It was till for sale. I also wanted to know about the rental market for both furnished short term properties and longer term, about 12 month. The move was going to be complicated. (I really had no idea how very complex it would become!) The two of us with four cats and two dogs plus the enormous amount of stuff we would bring meant we would likely have a limited number of possibilities. Everyone we had spoken with and from our research indicated that buying a house early in our time in Cuenca was probably a poor choice. Both of us had already decided that we were not going to buy a house for at least a year. At the same time we knew that the right opportunity would seriously test our resolve. Veronica indicated in our first few email exchanges that she would gladly help us what we wanted. She also suggested that we wait until we were a couple months from actually moving to be concerned with specific properties. A lot would change before we arrived in Cuenca. That sounded right and turned out to be spot on. Veronica contacted me to follow up a couple times during the summer and our long, and stretching longer, path to selling our home. We agreed to talk again when the house went on the market. That was the proper timing. We knew that the house would sell quickly, it did, in the hot market. Still, listing to closing ran almost two months. I began talking to Veronica as well a few other real estate firms as soon as the house was listed in early November. Our choices were definitely limited by the need for a short term furnished rental, 2-3 months, while our household goods were enroute followed by a 6-12 month unfurnished rental while we decided if, when, and/or where we wanted to buy a home. Our party had grown by one as our adult son had decided to join us. We really needed a big house with a yard and lots of storage. We were coming from over 4000 sq. ft. plus a full basement. We had pared our belongings by about 40% but still filled a 40'x8'x9' container. (I wish we had cut that by another 40% but that's another story I'll be glad to share if anyone wants to talk about it.) Every realtor's listings were limited by high occupancy rates. Our needs further reduced possibilities. We finally settled on a two month rental of a 3 bedroom/2 1/2 bath furnished apartment next to the Yanuncay River. This was not Veronica's offering but it turned out to be perfect for our first two months here. Veronica was definitely interested in finding us the unfurnished house we wanted. She had maintained contact and she met with us three days after we arrived in Cuenca. No other realtor showed nearly that kind of interest. No other agent knew our needs and desires like her either. She was fully prepared to show us properties she thought would suit our needs. This was all because she had maintained contact with us throughout the nine months we prepared for the move and asked the right questions. Veronica had four properties to show us right after that first face-to-face meeting. One was the house we had liked so much the previous winter. It was back on the sales market and was being offered as a rental. Two others were rentals and the fourth was a surprise. The surprise was a recently completed house near the one we liked. All were in San Joaquin where we were by then sure we wanted to live. City life has it's advantages but doesn't suit us as well as a more suburban/rural setting. The downside to getting what we want was transportation challenges. San Joaquin is only five minutes from our apartment on the southwest side but the increased distance makes everything we do a little bit harder and takes longer. It is a choice between convenience and easy access to all the things needed by new residents in an unknown city and culture and being where we like to be. This is not an insignificant concern and a decision to accept the challenge isn't easy or right for everyone. I'll skip the details but we chose her surprise offering a week later after a few meetings meetings with builder and his architect partner. We moved into the recently completed home in San Joaquin in mid February. We will be here while it's builder, also the builder of the house we liked, constructs a house for us about 200 meters down the road. The construction is supposed to take up to nine months. This is a home we have always wanted its exactly where we want to be. I can think of no better outcome. It also would not have been possible without the efforts of Veronica Arpi of Cuenca's Best Properties. Let me put that last statement into perspective. Veronica took the time to learn our needs and maintained contact throughout the timeline of our decision to make Cuenca our home and actually choosing a place to live. She offered us properties that fit our requirements. We intended to rent for a year but she was able to give us viable options for that path and to the perfect alternative when the perfect opportunity was available. 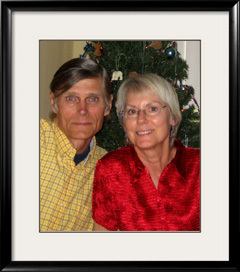 Since then she walked us through the design of the house plans, worked to bring together the builder, us, and our attorney to complete a solid contract for the land and house construction, given us options to solve the transportation difficulties, helped us with shopping and arranging services like TV and internet, and been there when we need help in general. Believe me we need a lot of help. Building a house is a big undertaking without doing it while we are new residents of a mostly unknown country. We've built a house before. It was a challenge. This time around it is a bigger yet but this time I feel confident that we have people we can rely on to help us meet the challenges. So far Veronica has been at the heart of the effort and I have no doubt she will continue to do everything necessary to help us succeed. Thank you so much for listening carefully to what we said we were looking for and then finding exactly what we had asked. We signed the deed today and couldn't be more happy! It is refreshing to meet a person like Veronica. From our first meeting Veronica focused on our needs and requirements. All the properties we visited filled our brief and we found our new home. Veronica was with us every step of the way until settlement and communication with the seller was painless. I was blessed the day I met Veronica Arpi. My professional activity over the past 20 years has led me to relocate at least 25 times. With the return of experience over those years, I realized how valuable the help of Veronica is. Through her real estate activity, she brings the best service by putting all her energy, determination and kindness in order to find the best solution adapted to the demand and particular requirements of her clients. The day I met Veronica, I expressed my wishes and my own requirements for the purchase of an apartment. The next day, after having made me visit several real estates matching my criteria, I selected one that has been my favorite. Veronica's efficiency was then incredible and she was always listening and at the service of the client's needs (myself). Both when negotiating the purchase price of apartment with the seller and, during the coordination with the other parts of real estate transaction, she has demonstrated very high human and professional qualities. She came to pick me up with her car from my hotel to meet others participants (bank, lawyers, etc...) related to the real estate process; So, I was able to get as much useful information as possible. Veronica is never discouraged by obstacles or difficulties. Her will, her perseverance and her kindness are really put together at the service of the success of the mission given by the client. Veronica through her company has made a new real estate owner very happy. Veronica Arpi was highly recommended to us by another expat and we are so grateful that we received her name early on in our property search! When we started working with her we weren't exactly sure whether we wanted to buy or lease and what area would be best for us. She was so patient and even with so little to go on, she found us the perfect home to lease within two days. Her consistent professionalism, punctuality and efficiency were matched by her knowledge of the market and great relationships with builders and other agents. We highly recommend that you use her services! It is our immense pleasure to recommend Veronica Arpi as a real estate agent for any individual or family searching for the ideal home or property here in Ecuador. Veronica responded to our email promptly and had an initial meeting with us taking diligent notes regarding our specific needs for the perfect home or homesite. It was immediately obvious to us that she knew Cuenca and the outlying areas like the back of her hand. Not only was Veronica excellent in assisting us in our search for property near Cuenca but she was a wonderful facilitator as well, fluent in both English and Spanish. She returned all calls and emails the same day and was always available to assist us with any concerns we had relative to our purchase. Within a short time frame, we found exactly what we were looking for and Veronica assisted us with all the necessary documentation and banking concerns to make the sale complete. Thank you, Veronica for making this such an easy process. You're #1 in our book. We were very impressed with the professionalism, knowledge, helpfulness and friendliness of Veronica Arpi of Cuenca's Best Properties. She was very patient and fluent in English, which was wonderful as she answered our questions and concerns. Although we did not buy a property, but are only renting at this time, we would definitely use Cuenca's Best Properties to find our forever home when we are ready to make that move. She listened to what we were looking for and found us the perfect place, something that most agents in the U.S. don't do. It was if our time was just as important as their time and at no time were we made to feel rushed. We would strongly recommend Cuenca's Best Properties to find your little piece of heaven in beautiful Cuenca. We are not affiliated with the company or its agents in any way, just very happy and satisfied customers. My wife and I moved to Cuenca from Seattle, WA in June 2017. We contacted Veronica 2 weeks prior to our arrival and provided all our rental requirements. Once we arrived in Cuenca, Veronica found us an apartment within three days. She speaks English really well She also had the leasing contract in English and Spanish. We enjoyed working with Veronica and recommend her to anyone. We bought our apartment through Veronica Arpi, who is a doll! Not only was she a doll, but she is extremely bright and fun. Originally we had thought we would buy a house with a bit of yard, but, through the looking process, we decided to buy an apartment downtown in the center of the historic section. Veronica knew our needs and wants better than we did. She showed us an apt, that we originally said we weren't interested in looking at, and we fell in love with it. We bought this lovely little apt in the perfect location for us. The apt is a perfect fit! Veronica was always on time for appointments, and went above and beyond in giving her time, and her help. She helped us with the attorney, and in a very short time, we had the title in our hands. She made this experience easy and fun. We're now happy to call Veronica our trusted friend. I wanted to write, to thank you, for everything you did for us. You made this whole process actually fun. Debi and I were just talking about how, after looking at just a few properties, you knew what we wanted more than we did. You started showing us listings that you knew we would like before you bothered showing us the ones we had found on-line. You just instinctively knew by our comments on those first few places what we wanted. Then you encouraged us to put in an offer on our favorite, even though we were sure that the offer (what we could afford) would be turned down. Praise God, it came back just a little higher, and we got our dream home. We know how hard you must have negotiated on our behalf to get that price. Without your help and encouragement, we wouldn't be celebrating now. You will receive our highest recommendation whenever we are asked about buying real-estate. Again, thank you for all of your help and your expertise. You made us feel comfortable through the entire process. I recently (April 2107) had the pleasure of working with Veronica Arpi. I sold my Cuenca property and Veronica was the agent for the buyer who lives in the USA. I did not have an agent or attorney, as I represented myself. Veronica was always very helpful, very efficient and did an excellent job of following up on what needed to be accomplished. She is a very kind, pleasant person who is also tenacious and gets things done. Veronica has a good professional association with a Cuenca attorney, and between the two of them the transaction was accomplished to my satisfaction. I felt they were both very honest with the highest integrity, and both are fluent in English. Thank you Veronica and Andrea! Thank you Veronica and Andrea! We have had the pleasure of working with Veronica Arpi during the process or buying and selling a property in the historic part of Cuenca. We found her to be attentive to our needs and proactive in completing the deals. She was quick to respond to our wishes. Her experience of working in real estate in the USA was apparent. We trusted her completely and would have no reservations in recommending her to other buyers and sellers. When I met Real Estate professional, Veronica Arpi of Cuenca's Best Properties, my husband Michael and I had been looking at properties to buy for about seven months. We had a total of eleven people helping us find either the right home with farm land or the right farm land to build our home on. I described our needs to Veronica who said with total confidence that she would find us the perfect place. She took us to view three parcels of farmable land. As soon as we saw that third property we knew it was "Our Place". We tried not to show our enthusiasm but we were sold. In two days our new homesite was bought and paid for. Veronica listened to our wants and needs, she didn't waste our time. She showed only places that filled our wish list and whose titles were clear. When it came time to make a deal she was knowledgeable and professional. Unlike most people who make appointments, then show up late or cancel, the only party who was late to an appointment was me. 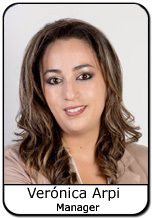 Veronica Arpi has proven herself capable and energetic in providing what her clients need. Her choice of contractors to build and/or refurbish homes could hardly have been more perfect. He too exudes confidence that he can bring the client's dream to reality. We are more than satisfied, we are IMPRESSED! As a first time property buyer in Ecuador, I needed a bit of handholding to reassure me and guide me through the process, Put yourself in her competent hands, you won't find a better resource professional. For anyone who is looking for a house or apartment to rent in Cuenca, we highly recommend Veronica Arpi with Cuencas Best Properties. Our Spanish is extremely limited and they were invaluable in first, finding us a house, next in patiently showing us numerous properties, and finally in negotiating the contract between us and the homeowner, who spoke only Spanish, and even in dealing with Puntonet on our behalf to get the fiber optic internet connected as quickly as possible that I require for my employment. They were both extremely friendly, helpful, professional and accommodating. If you are looking for a property in Cuenca you should definitely contact them. First let me say that Veronica Apri is a breath of fresh air. We had another lease in which the manager (person who helped find lease), and the landlord were both far less than honest. Needless to say we were very unhappy,,,, that is until we found Veronica. She was very supportive of our dilemma and listened (and remembered) our sad story of woo. She was very attentive to what we were looking for, and showed us several places within our price range and requirements. This process took several days and Veronica was there every day and on time. She kept in touch with us daily and never let us think we were on ‘the back burner’. Once we found the place we liked, she took care of setting up the lease signing and notary services. Everything was legal which gave us a very secure feeling. After we moved in Veronica kept in touch to make sure we were happy and all services and appliances were in working order. She has also taken time out of her day to help us with other business that has nothing to do with the lease. We cannot express our deepest appreciation enough to Veronica. And we also cannot recommend her highly enough. If looking for someone to help you find your paradise in Cuenca, who is professional and takes care of her clients, you can’t do any better than Veronica. We will definitely use her in all future real-estate business. Veronica, It is a true pleasure to work with you. From our first property inquiries via email in 2015, until our closing this week, you have been there for us. Thanks for showing us the properties we selected, coordinating with other agents, and owners, and most of all showing us the "unlisted" property, which we ultimately bought. Thanks for picking us up in Centro, even though it was Easter and the traffic was unreal. Even with our street closed for Tranvia construction, you made it, even on foot, to keep our appointments! Julie says you are also the Queen (Reina) of parking. Thanks for helping with shuttling us to make purchases of furnishings, household goods, and translations during negotiations and delivery coordination. Thanks for arranging a bilingual, and very polite, patient driver Gabriel, for us to hire as needed, while we assemble the necessities to set up the penthouse exactly as we like it. As you know, we have other property here in Ecuador, at the Coast, and have worked with other people in aquiring our residence there. You are by far, the most responsive, thoughtful, and attentive professional we have worked with. Thank You Friend! Please feel free to use us as a reference, anytime. Veronica Arpi is incredibly helpful and professional. We have purchased two properties now in Cuenca and sold one with Veronica's help. We felt very secure and comfortable through the whole process. She looked out for our best interests and made sure that everything was taken care of. CuencasBestPRoperties the best real estate office in Cuenca. I recently had the pleasure of working with Veronica Arpi of Cuenca's Best Properties. What a treat she was to deal with. Being a non Spanish speaker, it can be a daunting task. Veronica speaks excellent English, and guided me through out the entire process. She listed my condo, and with only three showings, sold it for the price I was looking for. She is a one stop provider. She took care of all the legal matters, supplying an excellent attorney. Between the two of them, they guided me through the entire legal process. Once the deal was complete, I had an issue with transferring the funds to the US. Never fear, Veronica volunteered to help me through that process. Even though this transpired after the sale, she made herself available to me, and walked me through the whole process, going so far as to actually fill out the forms required. I can't more highly recommend a true full service realtor. She made the entire process totally painless and trouble free. Plus, she is extremely punctual. Very happy with my choice of Veronica, and more than happy to recommend her and the service she provides. Thank you again for all the things you have done, and continue doing for us. Veronica of Cuena's Best Properties has been a Godsend for us. We are a retired couple who's dream was to have a very nice place to live out our years. We have limited resources and wanted to conserve them by getting the best value for our dollar. We tried another agent when we first arrived in Cuenca, but that experience was much less than stellar. That was when shifted our search to Cuenca's Best Properties, and met Veronica. She came to our hotel and sat down with us for an hour listening to our deal-breakers, and our desires concerning a property. Armed with that information, she put together a search plan of 5 properties to look at, picked us up at the hotel a couple of days after the meeting, and took us around. The third property in the search really struck a chord with us. A penthouse, new construction, the 'deal-MAKER', a huge terrace that wrapped around all but the entry wall of the apartment, and several smaller perks including a really big kitchen. We went on to the last two condo's, and condo #3 was definitely it. We went back to that property and met with the builder to negotiate price. 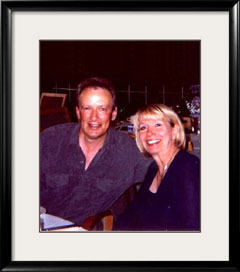 Veronica was instrumental in negotiating a reduction for us that was satisfactory to both sides. At that point, Veronica said that we could build a hot tub on the terrace, and a fireplace in the living room. These were items on our wish list, and we really didn't consider them possible here. The pricing for these items turned out to be quite reasonable, and Veronica has made arrangements with the builder to do the construction, plumbing, electrical, and brickwork, and took the time (at no additional cost to us) to take us to the hot tub dealer, and the fireplace dealer to pick out what we wanted. In addition to all this, she also arranged to have the earnest money run through her lawyer's account in the states when we ran into difficulty trying to wire transfer it to the builder directly. To sum up our experience with Veronica, We have no idea what else she could have done to make our experience so complete and pain-free. Working with her was a very pleasant experience. One we would do again if the occasion arises. Thank you, Veronica, for the best service, and the best property for us. We have also made our first Equadoran friend. We want to express our gratitude for all the help you have supplied with our apartment search. We appreciate the way you listened to what we wanted in an apartment. Then without any bother or fuss you found two excellent choices and helped us acquire the one that was perfect for us. This will not be our last transaction as you are now our "go to" person for real estate in and around Cuenca. Thank you for your help. We can't say enough nice things about your service. I recently sent an email to Cuenca's Best Properties / Veronica inquiring about a condo listed on her website. Veronica responded right away telling me the unit had been sold, and asked for more detail as to what I was looking for. The next day Veronica had us lined up with 6 options. 3 of the options fit exactly into my preference and the other 3 were solid back ups. Point to this, Veronica listened to "me" - which is not easy with agents trying to sell you something else. Veronica didn't try to "sell" us anything, she listened, returns "emails" and that same day we found an amazing condo in the area and price range we asked for. Her English is perfect, yet she is Cuencana and know's all the in's and out. There are those moments in life when you meet someone and you just know you’ll be friends with that person for the rest of your life. Veronica is one of those people. She is the shining example of what all real estate agents should strive to be. I’m not an easy customer to please, but with patience and persistence Veronica helped my find a condo that fits my needs perfectly. I could not have asked for a better experience and I couldn’t be happier! As you’ll find out in your own real estate search, there are a lot of processes in real estate transactions here that differ greatly from what we have in North America. Veronica knows all there is to know and she is great at keeping you calm along the way! I can’t emphasize enough how great my experience with her was. I’ll share that I had gone out with another prominent Cuenca real estate agent before Veronica who simply wouldn’t listen to what my needs were. Then I went with Veronica and I knew that I would find something that would make me very happy. As my time in Cuenca goes on, I know I’ll be buying and selling all of my properties through her. Trust me in saying that if you’ve found her through her website or through a referral, you’ve found the right person to help make your Ecuador dream come true. On a week long trip from New York to Cuenca - supposedly to scout the place for potential retirement - we called on Veronica to show us available properties that may be of interest to us. It is a testament to her skills that she totally understood our requirement, given our situation in life, and before we left Cuenca we ended up putting down a deposit on a property under construction,which is nearing completion now. We visited Cuenca last week to inspect the progress of construction. During this trip her after-service to us as clients was quite impressive. She fully realizes that she is our conduit to the local market at this point and is very helpful to us in making decisions and sorting out the issue we have. We will continue to count on her until we settle down in Cuenca and are confident in her professionalism and after sales service. Veronica is the consummate real estate professional. She is extremely knowledgeable about all facets of the local market and is well-connected with ancillary personnel (architects, attorneys, developers, property managers, etc.). She speaks perfect English, is always punctual and responsive in her communication, patient, courteous and truly dedicated to her client’s best interests. Working with her has been a pleasure from beginning to end and we enthusiastically recommend her for any and all your real estate needs in Cuenca. Dear Veronica, We wanted to let you know how pleased we are with the assistance that you provided throughout the entire purchasing process of our new home. You listened to our needs and did not waste any of our time showing us properties that were not compatible. In a matter of a few hours we found exactly what we were looking for and we couldn't be happier. We also appreciate your working with our attorney, helping with all of the legal documents, procedures and translations. You are a true professional and we would welcome the chance to recommend you and Cuenca's Best Properties to anyone looking for real estate services. Dear Veronica, I can't thank you enough for your help in selling my home. You brought me more qualified buyers then any of the other agents. You were on top of every detail and never missed a thing. I really appreciate your hard work. You were so organized and handled every detail beautifully, I barely had to do a thing. If I ever sell again you will be the first one I call. Many blessings to you and Muchas Gracias. One of the best decisions we made when deciding to purchase our new home was to hire Michael Berger to be our agent and interpreter. His insight, knowledge and advice have served us very well. He is straightforward, honest and personable. Michael has delivered on every promise and his punctuality is refreshing. We would highly recommend him to anyone wishing to purchase property and we would certainly hire him again should the need ever arise. As everybody knows who lives Ecuador, and in my case in Cuenca, time here is flexible like a rubber band, and it takes some patience to get used to it. What a surprise to find out that this is not true for everything. From the moment I met Veronica Arpi, I knew this is a very well organized and professional lady. Veronica sold a penthouse for us, which we shared equally with partners. A difficult situation to start with. Veronica handled the situation with calmness and efficiency, focusing on the task to finalize the sale to everybody's satisfaction. She is quick and efficient as I mentioned before, and without delay completed the task. What I really like about her the most, is her straight forwardness. She is not waisting anyone's time, comes straight to the point with diplomacy and tactfulness. There is no question in my mind, that Veronica is on top of my list when it comes to Real Estate Service. I highly recommend her to anyone who would need a reliable and professional service in this field. Honesty and integrity in Real Estate is hard to find these days. I personally got burned twice in Ecuador. It is my pleasure to recommend highly Veronica Arpi. We do not think there are enough quality words to describe the excellent job Michael Berger has done for us. He demonstrates impeccable integrity and has your best interests in mind, at all times. We encountered a number of issues in our negotiations in purchasing a particular place, yet Michael patiently and thoroughly brought us through, with creative solutions and suggestions. Our experience with Michael has been the best we've ever had in all of our years of purchasing real estate. Like so many other people that are new to Ecuador, I was in need of a real estate professional that I could trust and rely on. I was referred to Michael Berger, of Cuenca's Best Properties, by another Ex-Pat who utilized his services with great satisfaction. He understands the needs and perspectives of those coming from abroad, as well as the local intricacies and bureaucratic obstacles. Michael is patient, listened to my needs, and met them. By handling the language and cultural challenges for me, Michael provided a valuable service...one in which I could trust and rely that all the I's would be dotted, and T's crossed. Cuenca's Best Properties has shown their integrity by continuing to avail their services to me, even though the sale was consummated two months ago (and commission paid). We are George and Lillian Hoppe. We met Michael Berger at Gringo night at Zoe. He was instrumental in helping us find a home to purchase in Cuenca. We found him to be fair to both parties in the real estate transaction. Some of his qualities we picked up on are diligence, attention to detail, fluent in Spanish, trustworthy ,and wise. We see him as a very successful up and coming young business man. We never hesitate to mention his name to others who are in search of property to buy or rent. Thanks Michael for all you have done for us! Michael Berger is knowledgeable about a multitude of subjects pertaining to real estate, including construction, laws and procedures, negotiation, and more. Michael goes to great lengths to get to know his customers, the best properties, and the Ecuadorian way of doing business. Michael's focus was always on OUR wants. He never tried to lead us in another direction. Our purchase was complicated and stressful; yet he diligently helped resolve every issue and kept us informed during every step of the process. When the deal appeared to have fallen through, he kept his cool and calmly went the extra mile to help us re-negotiate and eventually complete the purchase. Although our purchase was almost four months ago, he continues to offer advice when we have questions. Very professional! Just wanted to thank you for your efforts above and beyond the call of duty. Your spanish speaking skills also helped in negotiating and completing the transaction smoothly and without a problem. If you are looking for a real estate agent in Cuenca - Michael Berger is your man. He has so many fine qualities which makes him an excellent choice. • meticulous and patient - he discusses at length your property requirements and because he is so thorough at this first stage he is able to identify and short-list properties that are worthy of a viewing. Saves time all around. • knowledgeable about the RE market and offers good local information. Has good local connections. • great attention to detail and follow through - he doesn't miss a trick. 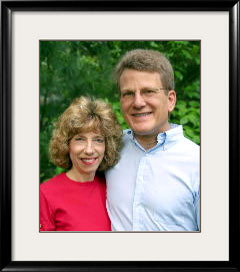 • trust-worthy, fair and honest - he offered good advice even though it meant postponing a sale and his commission. • good negotiator - he truly worked in our interest. 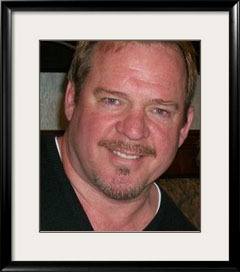 Having Michael as our agent gave us peace of mind. 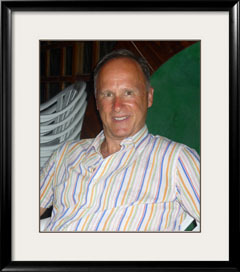 If you are seeking reliable guidance for your real estate purchase in Ecuador, then you need to meet Michael Berger. Michael will lead you down the smooth path towards allowing you to make peace of mind decisions during your adventure in searching for that special Cuenca apartment, condo, house or raw land. This will be a new experience for most, so I highly recommend the dependable guidance from Michael who is personable, conscientious, knowledgeable and bilingual (American by birth, Ecuadorian by connection). Now a happy satisfied owner of a Cuenca Condo! Veronica helped us negotiate a purchase price considerably less than the listed price, even though she had to deal with a challenging set of circumstances arising from the fact that the property was owned jointly by two couples who had different opinions about what was a reasonable offer. We had to leave Cuenca before the purchase was complete and Veronica managed everything for us from then on. From start to finish, our buying process took under three weeks, including delays due to transferring money to the joint owners in both Ecuador and the United States. Perhaps most impressive of all was Veronica’s after-sales service. An issue arose because of the condo administrator’s inexperience and she tried to get us to pay debts owed by the previous owners, which we refused. Though it was not Veronica’s responsibility, she spent considerable time and effort negotiating with the sellers and the administrator to resolve the issue successfully. We would recommend Veronica without reservation. She is a consummate professional who really knows the Cuenca property market. She acts quickly, communicates clearly, and is honest and straightforward. She is persistent and thorough, while always being upbeat and cheerful. In short, she is a pleasure to work with. We hope that she will represent us again if we decide to sell or buy again in Cuenca. As a rule of thumb if the agent you are considering working with cannot come up with at least three clients who are not related to them, have dealt with them in the past, and still continue to recommend them, then having that person try to help you with your purchase is just too risky.